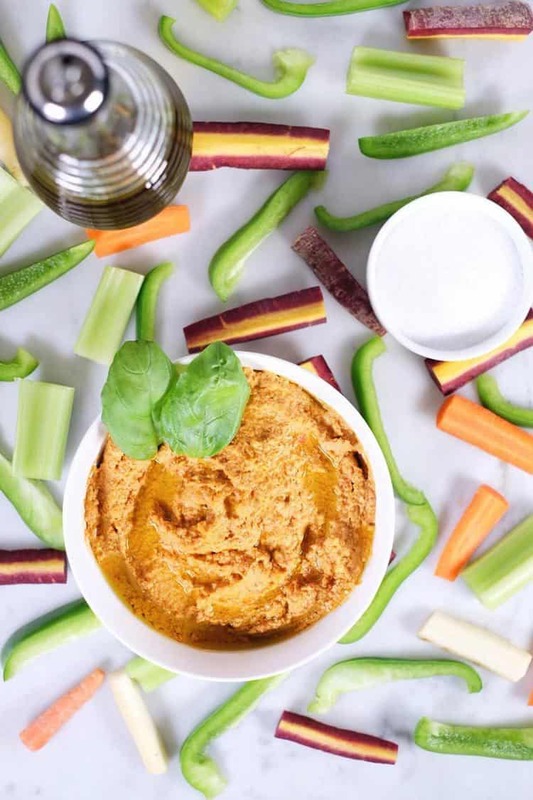 One of my favorite snacks prior to going Paleo was hummus and veggies. It was so easy to make or buy and felt like a filling, healthy snack. We don’t eat legumes anymore though, so when Justin made this tasty garlic basil nut hummus, I was thrilled to have a dip for veggies and plantain chips! I know – you’re wondering about the consistency, right? Does it really stack up? Well, I’m here to tell you it totally does! 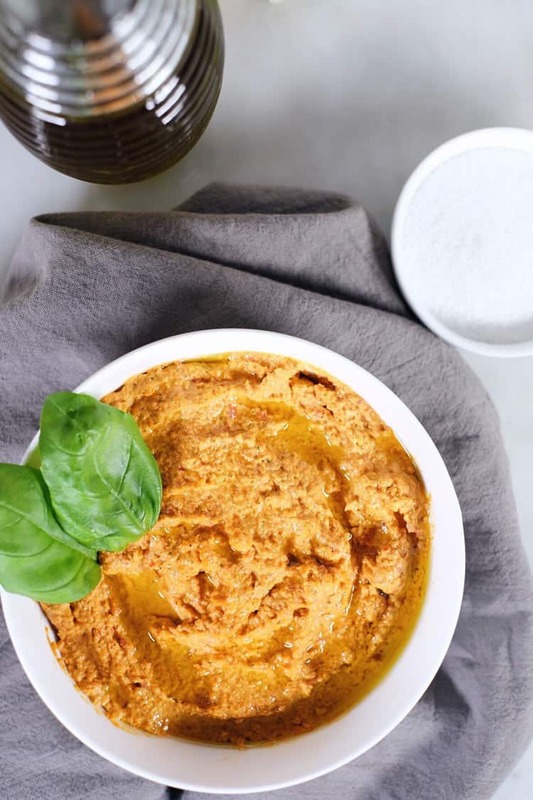 This garlic basil nut hummus is thick and smooth yet grainy at the same time, just like traditional chickpea hummus. Just take a look, and decide for yourself. Don’t you want to start dipping some veggies or plantain chips?! 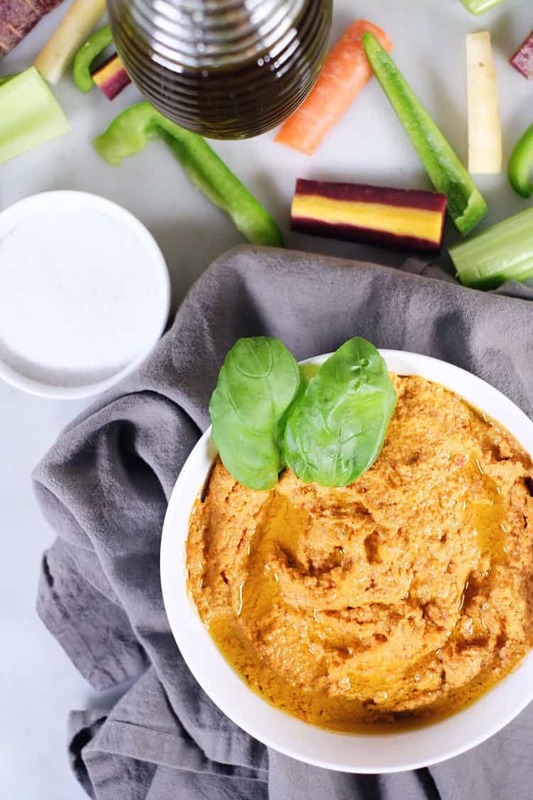 We got the inspiration for this recipe from this macadamia nut hummus from Paleo Leap. They even have a recipe for sweet potato hummus, too. Anyway, you can really customize the flavors to your liking and even try other soft nuts. We used both macadamia nuts and cashews. The cashews add a little bit of a sweeter taste. Add your favorite herbs and spices! 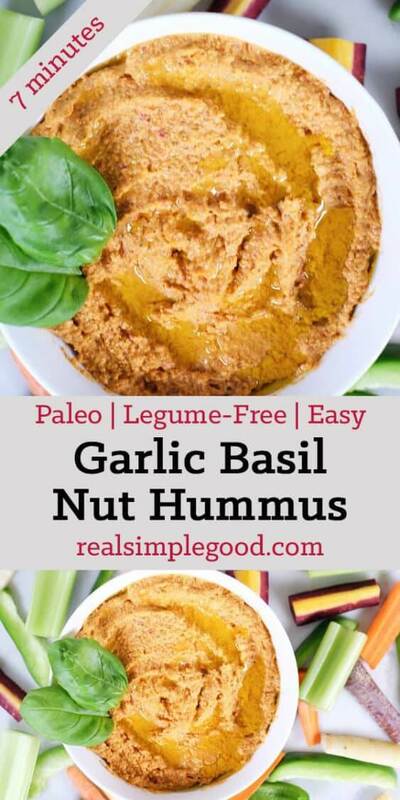 We love this easy garlic basil nut hummus because it is great for when we have company over or for taking to a get together. I can just imagine that we’ll be making this one over and over this coming summer! 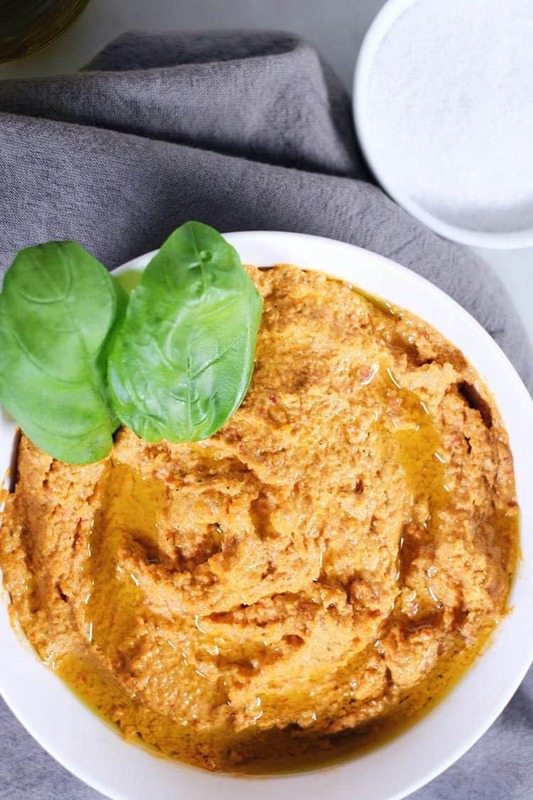 Invite some friends over, and make a batch of this garlic basil nut hummus! 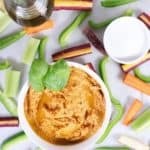 Get to dipping and enjoy a Paleo friendly version of a favorite snack! Let us know how it goes by leaving a comment below and tell us about your favorite flavor combinations! Also, take a photo and tag us on Instagram @realsimplegood, so we can check it out! A Paleo friendly version of a favorite snack, made with cashews and macadamia nuts. Place nuts, lemon juice, olive oil, garlic, basil, smoked paprika and sea salt (if needed) in a food processor and pulse to break up the nuts. Add optional roasted pepper as well if you're using them. Add about 1/3 cup water and process again until smooth. Use a spatula to scrape the sides and get all the little nut bits processed. Add more water if the mixture is too thick. Taste for seasoning and add more lemon juice or sea salt if desired. Serve immediately or store in the refrigerator for up to a week. Use as a dip for fresh veggies and veggie and/or plantains chips.